Brian is the editor of the popular energy technology site New Energy and Fuel. 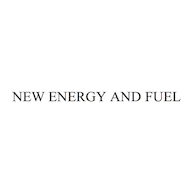 The site’s mission is to inform, stimulate, amuse and abuse the news and views across the emerging field of energy and fuels in our future. You will find the most exciting and useful news, guides and tips for making and saving money in energy and fuel, just how things work or not, where you might want to invest or get involved in a brainstorming session with other readers.